One in four vehicles purchased in the United States is a sports utility vehicle (SUV). With these statistics, SUVs are extremely profitable for manufacturing companies and dealerships. However, even with such high sales in the US, the standards of design and production safety have been consistently questioned by government and consumer advocacy groups. Since the late 1990’s, SUV manufacturers have marketed these vehicles as exceptionally safe due to their larger size and sturdy structure. Unfortunately, studies conducted by the Insurance Information Institute do not support this claim. In fact, the report indicates that SUVs are responsible for the highest rollover death rate of all vehicles. While SUV accidents make up only 3% of all motor vehicle accidents, fatal rollover accidents involve three times more SUVs than any other type of vehicle. Rollovers cause 63% of SUV fatalities and 46% of SUV injuries annually. SUV’s are also more common in the Northeast and more specifically Massachusetts as we have to deal with very harsh winters and many family’s and businesses have SUV’s to deal with the snow. The vehicle hits a low obstacle, such as a curb. The driver reacts to a potential hazard with a sudden turn or swerve. A Milton, Ma. multi-vehicle collision killed a Mattapan man while injuring three other people on Saturday. Kelly Young was 56. According to police, the head-on chain-reaction happened when a Boston woman in a Toyota Corolla was rear-ended by a Holbrook man in his vehicle. The impact of the crash sent the man’s auto into oncoming traffic, where it hit Young’s vehicle head on. An 8-year-old girl was among those who were inured. On Sunday, a deadly Beverly traffic crash claimed the life of a female passenger. The accident happened when the car she was in went through a red light and hit a truck. The driver of the truck was critically injured. In a Massachusetts rollover accident, this one in Wareham, a 24-year-old Cotuit man was pronounced dead at the crash site while another man, age 20, was taken to a hospital for serious injuries. Both men were thrown from the van they were riding. Police are trying to determine which of the two men was driving the vehicle when the traffic crash happened. It was just last month that a woman was killed in a New Bedford rollover collision. A passenger, a woman, died after being thrown from the car when the driver tried to avoid snow on the ground. The driver, a 19-year-old woman, was taken to the hospital with serious injuries. Theresa Suprenant, 22, died at the Massachusetts accident scene. Authorities in Middleborough have released new details in their search for the driver who struck and killed a local bicyclist last week. Michael Dutra, 58, of Middleborough was the victim of the fatal hit-and-run accident, which occurred around 7 p.m. Friday evening. Authorities believe Dutra was either riding or walking his bicycle along Wood Street, where he resided. Plymouth Country District Attorney Timothy Cruz, as well as Middleborough’s Chief of Police Bruce Gates, said that investigators of the accident had started to piece the scene together, and have collected debris from what they believe to be a light-colored model year 2005-2009 Jeep Grand Cherokee. Authorities think that the vehicle is possibly missing the front marker lens, may have a broken right headlight lens, as well as a damaged right front bumper. Investigators need your help. Anyone with any information regarding the case is encouraged to contact the Middleborough Police Department at (508) 947-1212. While bike riding is a popular mode of transportation, it is also extremely dangerous, especially for individuals who choose ride at night. 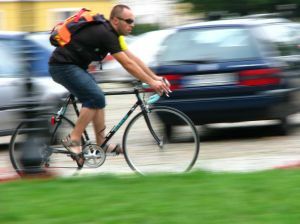 Unlike passengers in motor vehicles, bicyclists have no physical protective barriers against outside elements like cars, trees, guardrails, fences, and other large vehicles, and are at the mercy of others traveling on the road. The U.S. Centers for Disease Control and Prevention estimates that more than 500,000 people are treated for serious bicycle-related injuries each year, and more than 700 individuals die each year. A majority of these injuries are head injuries attributed to not wearing a helmet. Though many people dismiss the idea of wearing a helmet because of atheistic reasons, or because they feel their short commute does not warrant wearing one, wearing a helmet could make all the difference, and could even save a life. In fact, the National Highway Traffic Safety Administration found that bicycle helmets are 85-88% effective in preventing severe head and brain injuries. Other types of injuries commonly sustained in bicycle accidents include concussions, spinal cord injuries, broken bones, lacerations, paralysis, and death. A 17-year-old was cited after she struck and seriously injured a couple and their infant child in the South End on Sunday afternoon. According to witnesses and investigators, the teenager hit the couple and child as they were crossing the street near Columbus Avenue and Dartmouth Street. The teen’s car also hit a pole and the side of a brownstone at Lawrence and Dartmouth streets. The couple and their child were taken to Tufts Medical Center and Beth Israel Deaconess Medical Center for serious injuries. The child was not seriously injured and was released to family members. The father was admitted for a leg and head injury, and the mother suffered serious head and neck trauma. The driver was operating with a junior operator’s license, and had been driving with another 17-year-old in the car; a violation of J.O.L passenger restrictions. 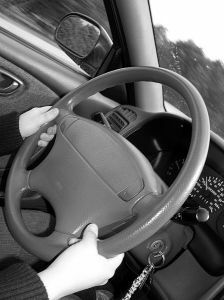 According to Massachusetts Law, junior operators may not operate a motor vehicle within the first six months of obtaining his or her license with an individual under the age of 18 years, unless accompanied by a person who is at least 21 years old, has at least one year of driving experience, holds a valid driver’s license from Massachusetts or another state, and is occupying the passenger seat. Violations of this restriction may result in the driver having his or her license suspended for 60-days and paying a $100 license reinstatement fee for the first offense. Subsequent offenses result in a longer suspension period, taking a Driver Attitudinal Retraining Course, as well as a reinstatement fee. The teenager was most likely cited for the passenger violation, as well as operating to endanger, negligent operation, and reckless driving, which carries a license suspension of 180 days and a reinstatement fee of $500, for the first offense. The cause of the crash remains under investigation. A Cape Cod woman is facing a slew of charges, including operating under the influence, after causing a car accident on the Sagamore Bridge in Bourne last night. Dorothy Hitchcock, 25, of Provincetown, MA was driving her GMC SUV when she veered into oncoming traffic while traveling eastbound on Route 6, Sunday evening. Hitchcock’s vehicle collided head-on with a Buick SUV carrying three passengers, who were later taken to the hospital with unknown injuries. Hitchcock was also brought to a nearby hospital where she was treated for non-life threatening injuries. She is charged with operating under the influence of liquor and drugs, drug possession, negligent operation of a motor vehicle, a marked lanes violation, and a seatbelt violation. Unfortunately, this marks the second serious crash on the Sagamore Bridge within a month. Over the Fourth of July, there was a deadly hit-and-run-crash that claimed the life of an Israeli man, and injured four other victims. •	Who is responsible for paying my medical bills after I am injured? •	How do I collect my lost wages? •	When will my car get fixed? •	How much is my case worth? •	What do I do if the insurance company is saying it was my fault? •	What should I do if the insurance company for the other car wants to take my statement? •	What do I do if I cannot get the police report? •	Am I able to file a claim if the other car left the scene after the accident? Although Massachusetts is a no-fault state and motorists, with the exception of motorcyclists, are covered by their own Personal Injury Protection (PIP) insurance, your medical costs may far exceed your PIP’s policy limit as well as the limits of your own medical insurance coverage. PIP also will not cover any lost wages. A tractor trailer rollover around 5:30pm on Monday night in Freetown, MA-located about 12 miles from Fall River-seriously injured the trailer driver and left the driver of a second vehicle with minor injuries. The truck driver was traveling on Route 24 Southbound near Exit 8 and had been carrying seafood. It apparently tipped over and landed on the dividing guard-rails across the highway median. The driver of the second vehicle, a 2001 Honda accord, thankfully escaped with minor injuries, but his car had to be dug out from the wood with special equipment. According to the National Highway Traffic Safety Administration, rollover accidents have a higher fatality rate than other types of crashes-accounting for about 33% of all passenger vehicle fatalities.Although convenient, tractor trailers, like the one involved in this accident, may be more prone to rollovers due to their height. Tall vehicles (trucks, buses, vans) have a high center of gravity, lessening their stability, and speeding, sudden turns, and bad weather can lessen their stability ever further. Other causes of rollovers may be driver fatigue, equipment failure, or negligent maintenance of the vehicle. The cause of the Freetown accident is still unknown. However, there have been no reports of speeding or other foul play. A 42-year-old driver from Northwood, New Hampshire, was found Sunday evening on the side of Interstate 93 in Salem after his vehicle rolled over multiple times. Police have confirmed that the driver, Gary Torrey, was not wearing his seatbelt and was ejected from his vehicle upon impact. Torrey´s 1998 Jeep Cherokee reportedly rolled across three lanes of traffic on I-93 North. Police are investigating the accident but the cause is not yet known. Torrey faces life-threatening injuries and was taken first taken to Lawrence General Hospital and then by helicopter to Massachusetts General Hospital. He was treated at the scene of the accident by Salem Fire and Rescue. In 2008 alone, there were 364 recorded fatalities and 3,193 severe injuries connected to car crashes in Massachusetts. Since 2002, the Executive Office of Public Safety and Security’s Highway Safety Division has annually implemented the “Click It or Ticket” campaigns and have reportedly helped to increase Massachusetts seatbelt use from 51% in 2002 to 74% in 2009. Fatalities of vehicle occupants also dropped from 57% of crash fatalities to 23% during this same 7-year period. • Wearing your seatbelt is the best way to protect yourself in an accident • Airbags do not replace seatbelts • To buckle-up correctly, the lap belt and shoulder belt should be secure across the pelvis and rib cage • In order for a seatbelt to work correctly, it must fit correctly; belt extenders or new shoulder belts are available from car dealers and manufacturers. • Everyone should wear a seatbelt despite age or condition. Pregnant women, obese, and eldery, can all effectively buckle-up safely. 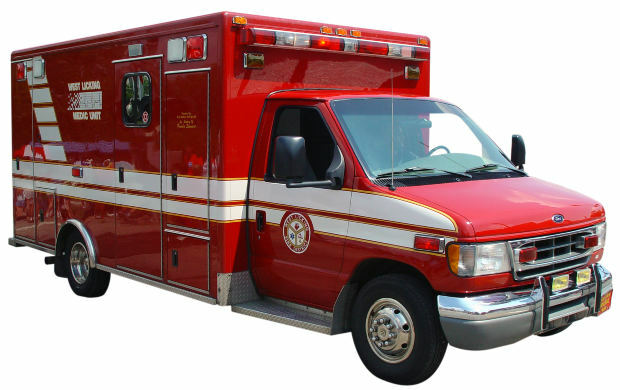 Single-car accidents are common throughout the densely populated state of Massachusetts. Whether you have accidently backed up into a pole or were run off the road by another vehicle, at Altman and Altman we have handled numerous single-car collision cases. Often times when an accident occurs by a phantom vehicle, it is our job to prove that such a vehicle existed. In the above is case above we do not know enough about the circumstances to know if a second car was involved. In cases such as this, seeing if there is any paint transfer, side or rear damage, any possible witnesses, or any other piece of evidence that would help the firm piece together how the accident occurred. If you have been involved in a road accident, it is in your best interest to contact an experienced Massachusetts car accident lawyer as soon as possible. An accident involving at least six cars at the Boston Logan International Airport is under investigation. On Monday morning at approximately 6:35 a.m., the multiple vehicle crash happened at the Terminal C drop-off departure level outside of the Jet Blue check-in area. State police report that a 63-year-old North Reading woman caused the accident by accelerating instead of braking. After hitting five cars in a row, her 2007 Ford Explorer finally came to a halt in a baggage checking area on the curb. Logan Airport spokesman Phil Orlandella confirmed that the vehicle came to a stop at the AirTran area of the terminal. Police report that the woman driving the SUV has been identified as Carol Guthrie. In a preliminary investigation, State Police found that she mistook her gas pedal for her brake pedal. She has nonetheless been issued a summons and has been cited for negligent operation of a motor vehicle. Boston Emergency Medical Services reported that three people, including Guthrie, were taken to Massachusetts General Hospital with minor injuries. This accident continues to be under investigation. If you have been injured in a car accident, contact one of our experienced Boston car accident lawyers for a free consultation.